It was a fantastic night for Northumberland businesses at the 2018 North East England Tourism Awards held last night in a glittering event at Newcastle Civic Centre. 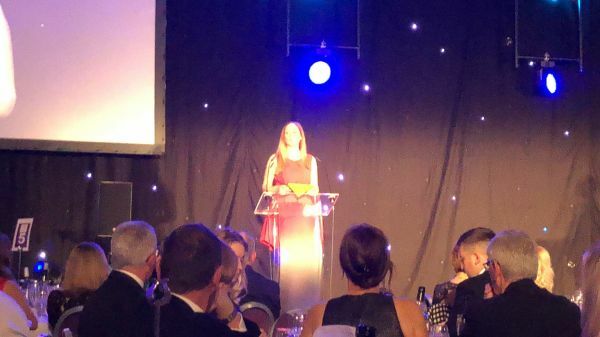 In her welcome speech at the event, Chief Executive of NewcastleGateshead Initiative Sarah Stewart said this year’s awards had “the highest number of entries ever received” with 145 entries from 126 businesses. From there, 57 businesses were shortlisted across 15 awards categories showcasing the wide variety of quality tourism businesses across County Durham, Tyne and Wear and Northumberland. Northumberland businesses were shortlisted in twelve out of the fifteen categories. From that, they gained a staggering nine Gold awards, along with a further eight Silver, ten Bronze and seven Highly Commended awards. It was a particularly successful night for The Lord Crewe Arms at Blanchland who scooped gold awards in both Dog Friendly Business and Boutique Guest Accommodation of the Year as well as Silver in Tourism Pub of the Year and Bronze in Taste of England. Having won Gold in the Bed and Breakfast of the Year Category in 2017, St Cuthbert’s House Bed & Breakfast in Seahouses were once again crowned gold award winners. It was also two years in a row for Laverock Law Cottages and Shepherds Hut who won the gold Sustainable Tourism Award.